Saw this guy on the way home from work. Made a hard U turn to go back and inspect. Bench seat, automatic on the column, 2 wheel drive, Dana 35. Real clean interior. Aftermarket tube bumper. we all feel the pull of another MJ. I pulled into a gas station the other day and I didn't even need any diesel, but there was an MJ there and I just had to stop and say hi and give him a club magnet. I like the color. 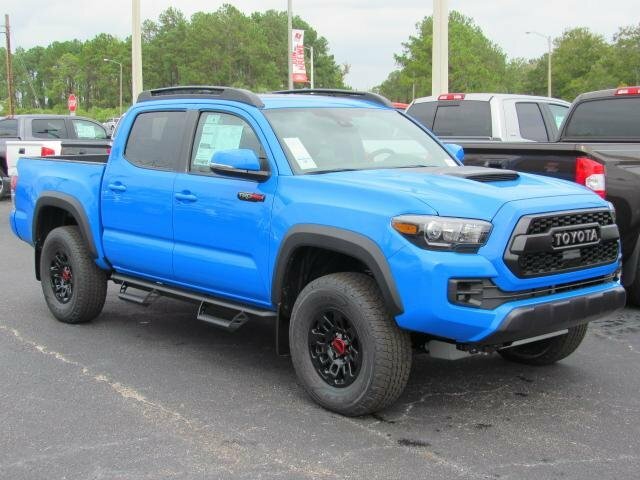 It looks a lot like the blue on the new Tacomas. Holy sh*t. . . $8200?! 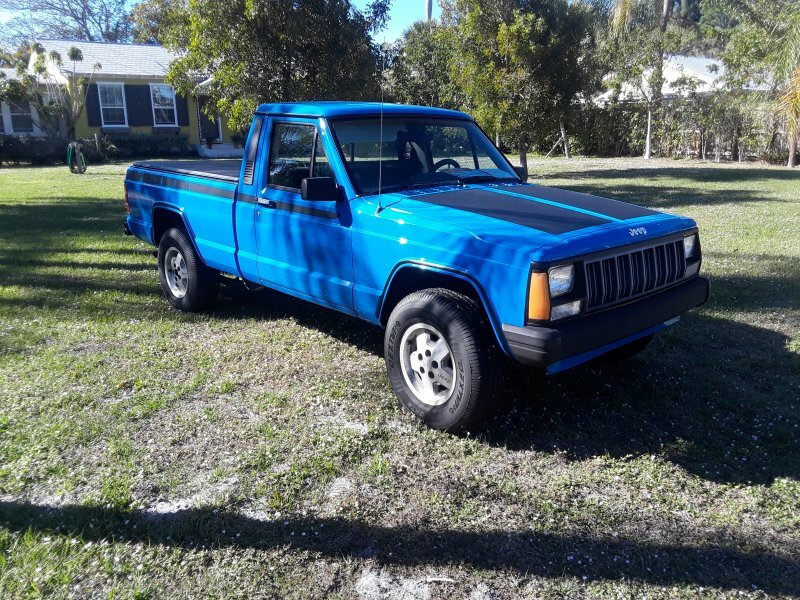 I've got mine listed for $1,500, and it's 4wd and 5spd. Although I must admit it is in far worse physical condition than the one above. It's nice, but it's not $8,200 nice. The guy is on crack. We need to start a betting pool on what they end up selling for. I think price varies greatly currently upon the region of the country you live. 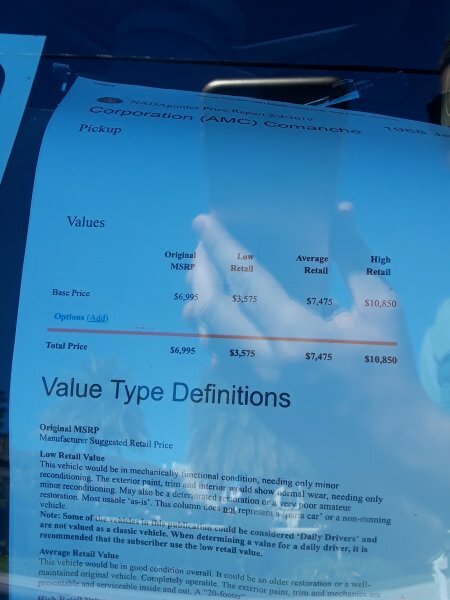 Most guys would be surprised to see they sell fast many times for 3 times the value as what they expected. That is a good looking truck. If it's really as clean as the pictures make it look. I would guess he gets close to that out of it. 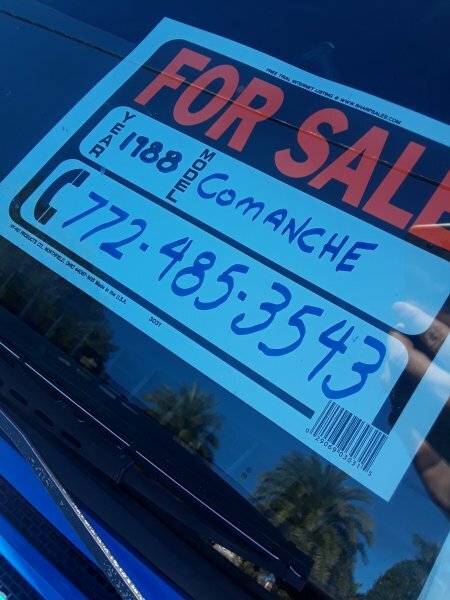 It's is Craigslist I would guess cash in hand might help the price. Hope it finds a good home. If I wasn't covered up in other projects your truck would be a GA resident by now! You keep that kinda talk up and I might just show up at your house with a loaded flat bed. I would love for another CC member to have her rather than some Joe Shmoe off craigslist. I wouldn't be mad if it just showed up one day.